BeoPlast has gained broad and substantial expertise in electrical and autonomous driving (the one is closely linked to the other, or in other words, diesel and autonomous is not). Meanwhile, our fleet has traveled about 270,000 km. Garage / maintenance costs for all vehicles: € 800, -. Energy costs approx. € 6,000, – (assumptions: 17 ct / kWh industrial electricity, as well as partial free Tesla Supercharger charge of approx. 80%). We have total energy costs of approx. € 2,25 / 100 km. The insurance costs for E-Mobiles are approximately 10% below that of comparable combustion engine insurance premiums. The few figures show that, in addition to the “clear conscience factor”, our E-Cars can be driven profitably. Other advantages are tax exemptions and free parking in Langenfeld. To be fair, one has to say that the issue of resale value is still unknown. The experience shows, however, that the resale value of a Tesla (Model S85) is quite high. In 2017/18, 3 E-Mobiles will be sold to make room for the P100D, as well as two Tesla Model 3 cars. Another unique feature is our great experience with autonomous driving. Meanwhile, we have driven about 40,000 “Tesla-kilometers” on European motorways. With a certain basic attention of the driver, we were relaxed and safe on level 2-3 (hands off, eyes off). In case of roadwork sites and on federal roads, however, the “old driving method” was used. In February our third model S will be delivered (after 85, 90D now the P100D), which brings us to the highest level of autonomous driving (brain off), limited only by the legal framework. 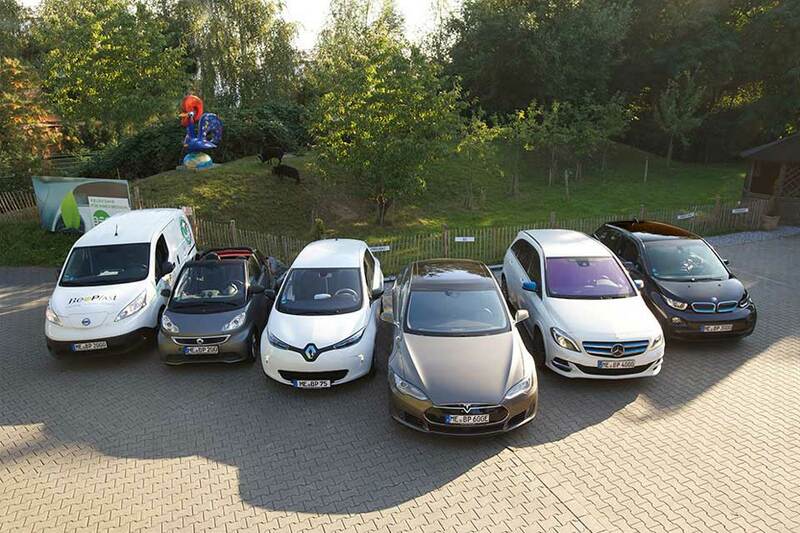 With our participation in the emerge projects (Daimler, Uni Siegen), we are already making a valuable contribution to the further development of e-mobility. 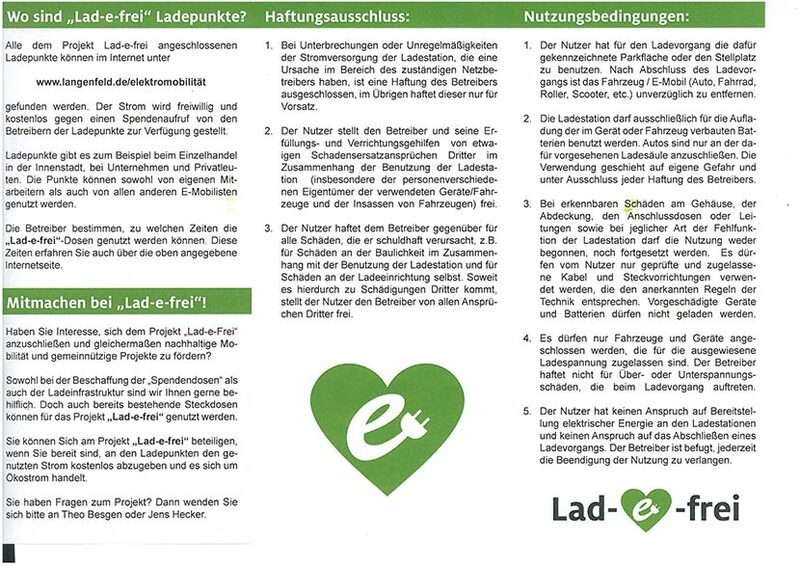 In Langenfeld we initiated the “Lad-e-frei” project, which is also planned in other cities.